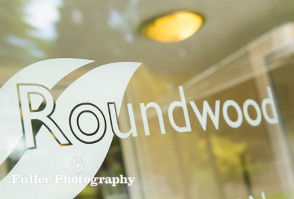 At Roundwood our large function room and private garden is the perfect place for corporate events and trade fairs. Whether you are looking to launch a new product and would like a venue to bring people together or are looking to have a number of different stands or stalls representing a certain industry, we have the space and flexibility to help you. 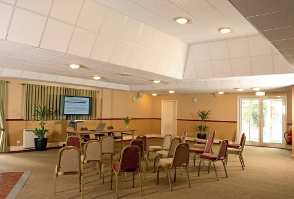 Our flexible approach also makes Roundwood an ideal venue if you are looking for a room to book for a conference in Norwich or Norfolk. Our function room is approx. 190 sq metres in size and we have in the past held many different corporate events here ranging from wedding shows, mind body and soul fairs to also using the room as a development display area open to the public. We also have the garden adjoining the main room which is also included with any booking. Our venue is temperature controlled for your comfort. We can offer you the use of our rolling screens, TV, P.A. system, data projector and screen at no extra cost. Any additional furniture for example, more tables if using Roundwood for a trade fair can be discussed and agreed upon. Room hire only – room set up for your meeting as required. for more information or to book the venue for your Corporate Event, we would love to help you!